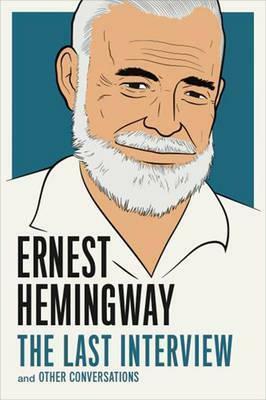 ERNEST HEMINGWAY was raised in Oak Park, Illinois, the child of a physician and a musician. After high school, he became a journalist with The Kansas City Star, before enlisting to be an ambulance driver in World War I. He returned home after a serious injury in 1918, but his military experience informed his fiction, especially A Farewell to Arms. He worked as a war correspondent for The Toronto Star during his first marriage, and over the next three marriages he would live in Paris, London, Key West, and Cuba. He published seven novels, six short story collections, and two nonfiction titles. On safari in Africa in 1952 he survived two plane crashes, though his obituaries ran prematurely. He lived on to win the Nobel Prize in Literature in 1954. Two trunks of his early work from Paris reappeared in 1957, and inspired him to write his memoir A Moveable Feast. He eventually committed suicide in Idaho in 1961.